We are a family run home care service that has been developed from caring for our own loved ones. TogetherCare is built on the foundations of offering a dedicated one to one home care service. The heart of our services is dealing with people on a daily basis and listening to the needs of you or your loved ones in order that the correct service will always be provided. We are located in St Helens Chambers. We are a family run domiciliary service in St Helens. We also care for people with Dementia and Alzheimer's. We will work with you or your loved ones to ensure you receive the services you require. Our domiciliary services are built entirely around a persons needs and therefore we are completely flexible regarding the hours required on a daily or weekly basis. We are a local care provider. Below is a brief introduction to the team behind TogetherCare. Michael Burke (Mick Burke) is an ex international rugby player. He had honours for Widnes Vikings and Great Britian. After caring for his Mum and Dad for several years Mick wished to carry on caring and set up a care company in rememberance of his Mother - Margaret Burke. Michael Lee Burke is a business graduate with specialities in marketing and business management. While undertaking his degree he would frequently return to help out caring for his grandparents and offer any support he could while doing his degree. While also taking his degree Michael Lee Burke created another company along side TogetherCare and is also freqently liasing with Universities to offer support to other students and potential business owners. The foundations of TogetherCare are supporting families who are in need of help in doing day to day tasks. We went through the challenges of looking after loved ones and can relate to every scenario we are presented with. With TogetherCare you can be sure of a complete home care package. Mick is a previous Great Britian Rugby League Full Back and Widnes Vikings Full Back. After the passing of his mother having provided care for her for 10 years Mick formed TogetherCare with his son Michael. 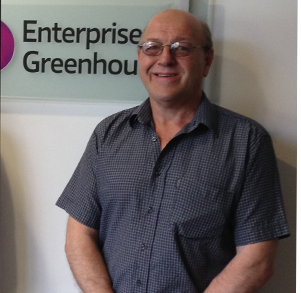 With a degree in Business which he studied at Huddersfield University, Michael has 6 years experience in providing care to family members before forming TogetherCare with his Father. 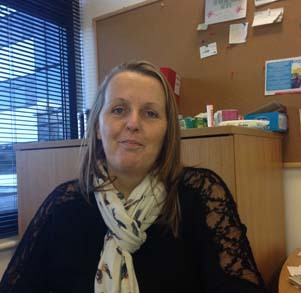 Janet has been with TogetherCare since day one and has progressed to becoming Manager and has over 10 years experience as a carer. TogetherCare is built on providing care for our loved ones, this included our parents and grandparents. We are an indpendant provider so you receive a personal service. "Couldn't let today pass without saying a big thank you to Wendy and Katrina 2 of our lovely carers. They went the extra mile to make dads birthday special. Balloons banners gift, cards and a cake. Even chocs for mum, how thoughtful! Carers often dont get the credit they deserve so I want them to know how much we appreciate what they do every day for all of our family. Thank you to all at TogetherCare you know who you are, you are all angels"